We all have our own unique motivations for storing our vehicles over the Canadian winters. Some people want to protect their luxury vehicle from poor winter driving conditions and some people may not want to buy winter tires or equipment for a vehicle that is infrequently driven. One common feature between all these motivations is the need for additional vehicle maintenance before it can get back on the road in the spring. Here are our top four maintenance tips to get your stored vehicle road-worthy once again. When you put your vehicle away in the fall, did you install a battery tender or trickle charger to protect your battery? If you used a battery tender to maintain proper charge, check it to make sure the battery is in fact fully charged. If your vehicle has been sitting for weeks or months with no re-charger at all, your battery may be weak or completely drained. Check the charge with an electronic tester. If the charge is low, a simple charging may restore normal functioning. If your battery is dead, it most likely needs to be replaced. Your car may have been stored somewhere without climate control, which leaves it susceptible to wear and tear. You need to be sure that your cables and wires show no signs of cracking or loosening. Also, check for chew marks and other signs of damage from pests. Verify that your air filters are clean and if they aren’t, replace them soon after starting up the vehicle for the first time. Check the oil dipstick to be sure the level is good enough to last until you can get an oil change. Then, get an oil change right away. Even when your tires are not in use, they can sustain damage. Ideally, your vehicle has been on jacks over the winter to take the pressure off of your tires. Regardless, check your air pressure and look for tread wear, including cracks and bulges. Don’t forget to check the inner rim! If your pressure is low, top it off with a home air compressor or get to a tire store or filling station first thing. Your ideal tire pressure can be found on the driver side door placard. Before you begin driving the vehicle again, tap the brake pedal to make sure it feels right. You may notice some tightness or experience some noise at first. This could be caused by rust that has accumulated on the surface of the brake rotor or drum. If the noise is constant or recurring, have your brakes and pads inspected by a professional auto mechanic. When you are ready to take your first drive of the season, be sure that your vehicle's tailpipe is clear. 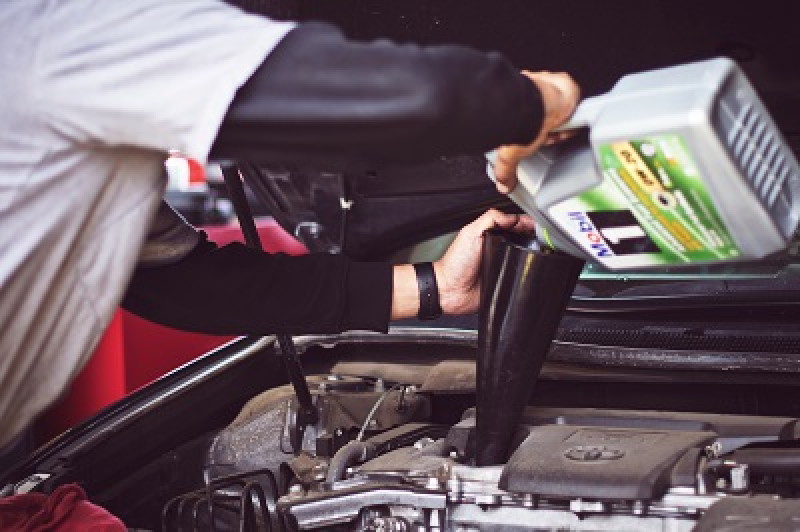 Uncover any gaps where a mouse could enter, such as the exhaust or your vehicle’s air intake. You may have plugged these in the fall, prior to storing your vehicle. We recommend leaving yourself a note on the steering wheel to remind you what you have plugged. Starting the car with these plugs still in could be catastrophic. When you put the vehicle away, you may have removed your liability coverage and left coverage for fire and theft. Without liability coverage, your vehicle can not be driven on the road. You do not have the legally-required insurance to be road-ready. Be sure to get in touch with your insurance broker to add your road coverage back on. They will then send you new liability slips (i.e. Pink slips) in the mail. If you are a McConville Omni client, you can access your liability slips digitally through our mobile apps. You can access your liability slips with us 24/7 on our free mobile app. We suggest downloading from Apple iTunes or Google Play. What does your vehicle insurance protect? If you are not sure what your vehicle insurance covers, we invite you to talk to one of our insurance brokers today to get a free vehicle insurance quote.